Emily Kristopher is an Australian actor, model and writer working in Brisbane. 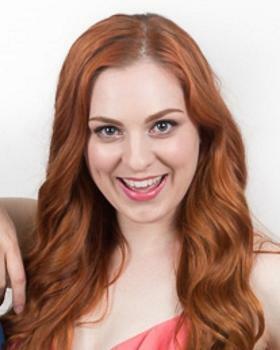 She is most well-known for winning the QLD State Final of the RAW Comedy competition (Melbourne International Comedy Festival, SBS2). In February 2017, she made her La Boite Theatre debut as 'Lana' in Michelle Law's 'Single Asian Female'. She also won both ‘Best Cabaret' and 'Best Cabaret Artist’ at Queensland's Short + Sweet Festival (Brisbane Powerhouse) in 2015. Emily has received a Del Arte Charts award (Favourite Leading Female Performance, 2016) for her role of 'Billie' in 'Nice Work if You Can Get It. In addition to performing, Emily enjoys showcasing her writing talents as co-founder and producer of Flowers Theatre Company. Her first full-length play ‘The Mayne Effect' (Anywhere Theatre Festival), broke records with its rapid sell out season and rave reviews. Her award winning second production 'The Train Tea Society', featured a live steam train in the show (a first for Queensland).